All stainless steel parts are tumbled before assembly. This results in a smooth finish with a minimum of sharp edges. 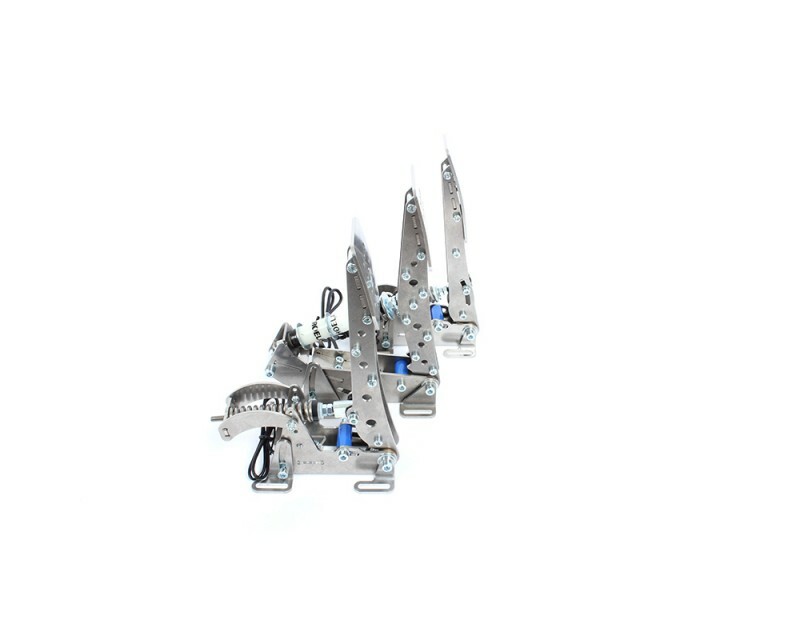 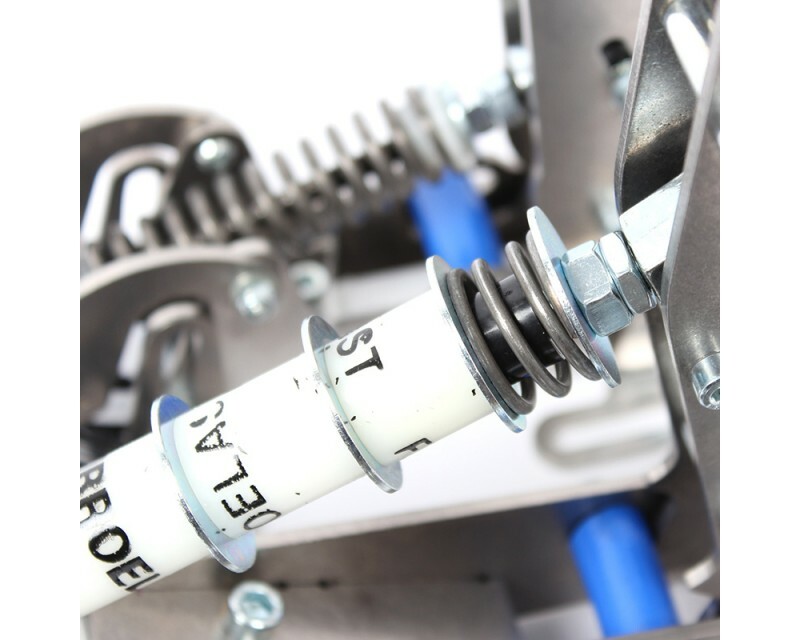 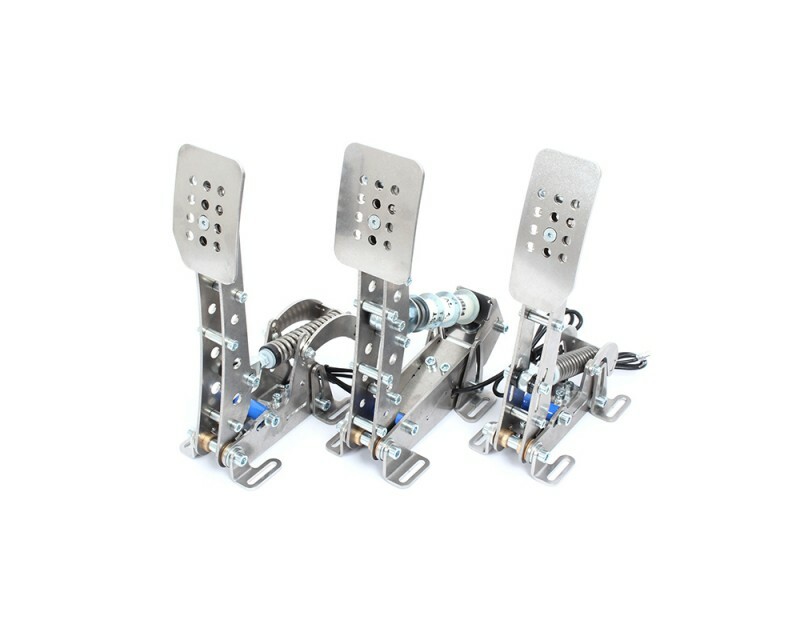 The dual stage brake system consists of an initial coil spring, simulating the pad to disc gap and progressive rubber springs. 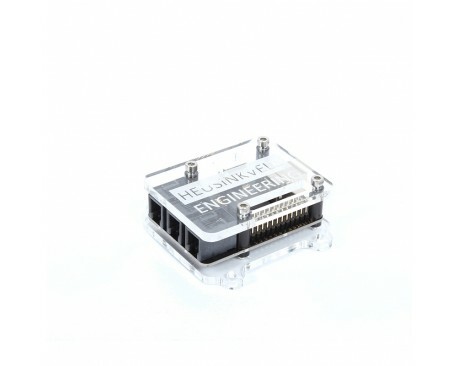 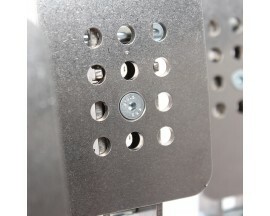 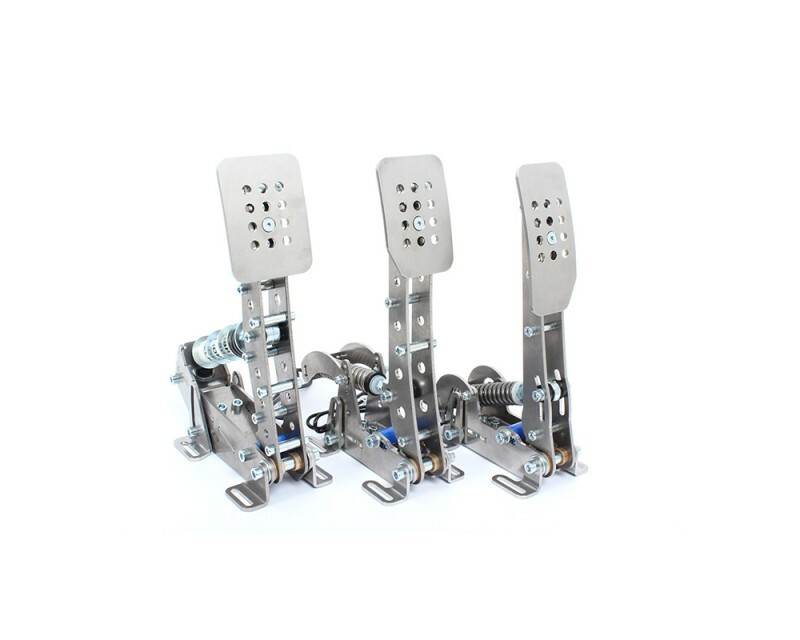 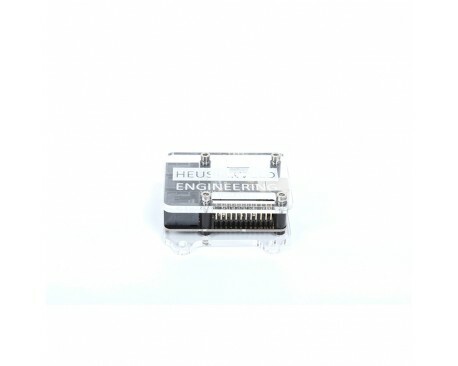 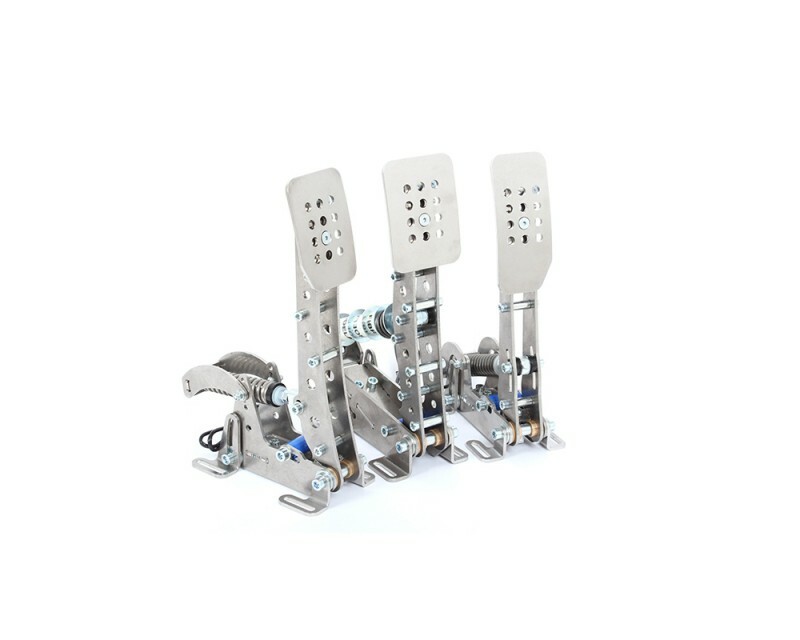 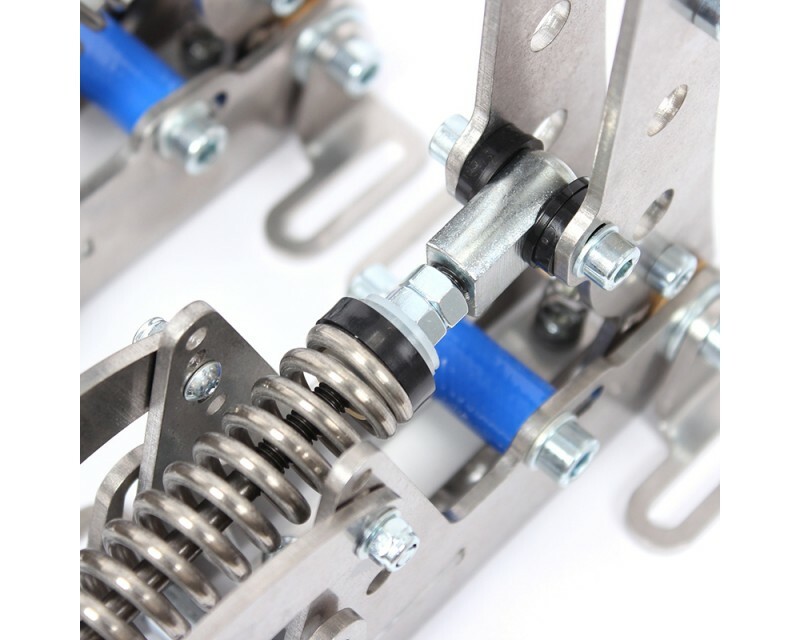 The pedal firmness is adjusted by selecting from 10 different rubber stack heights. 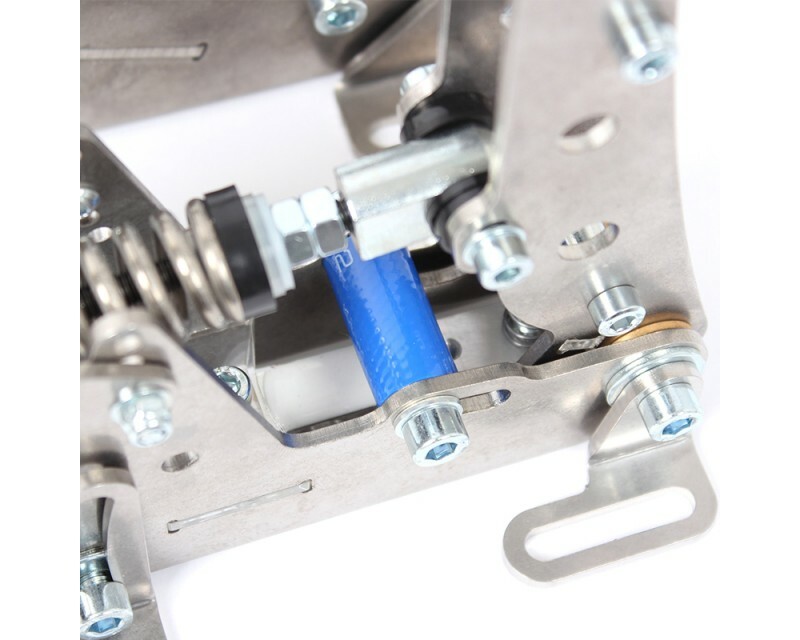 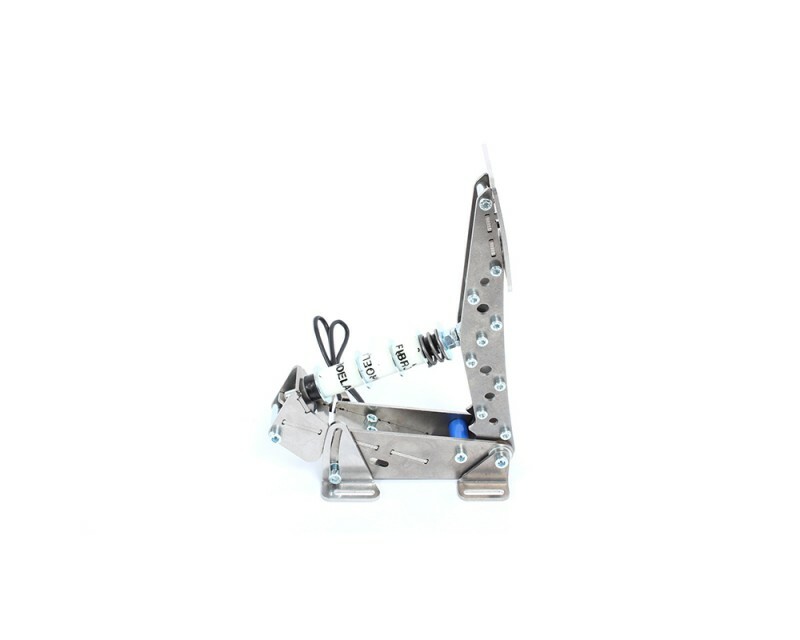 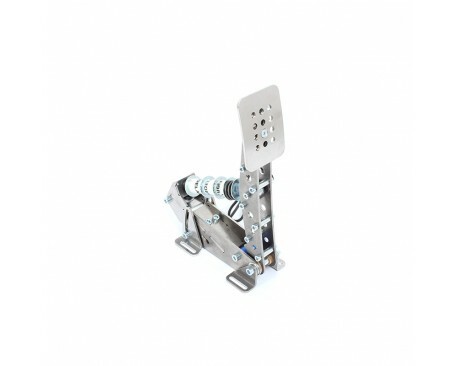 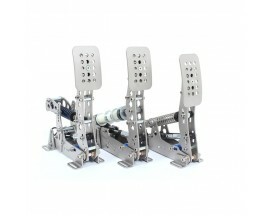 With 55kg or 120lbs max force, this pedal easily requires 15x more effort than regular consumer grade brake pedals. 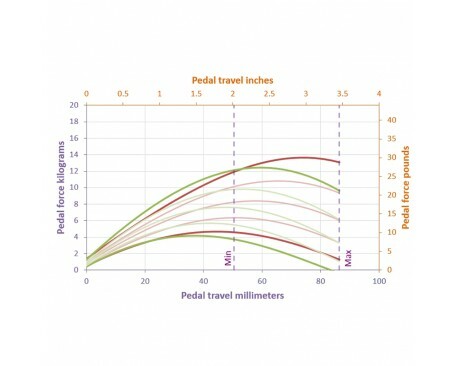 Braking using muscle memory improves accuracy and consistency. 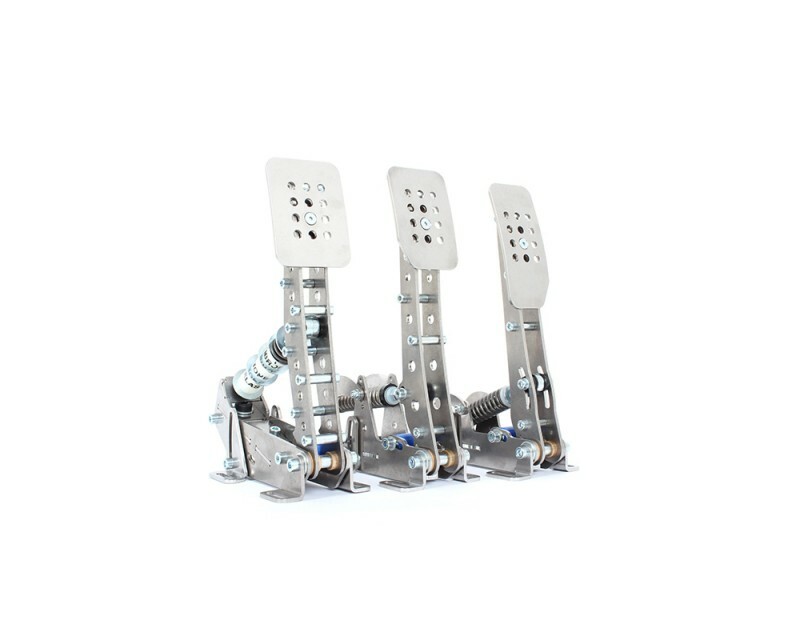 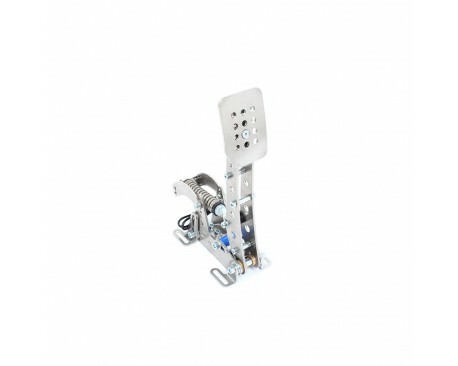 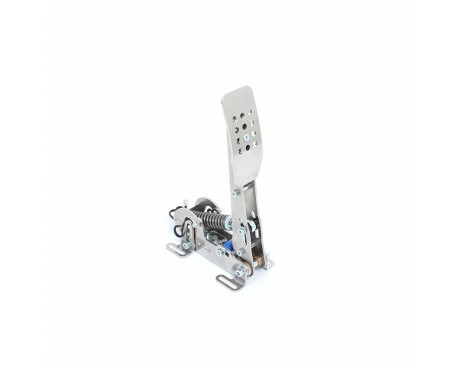 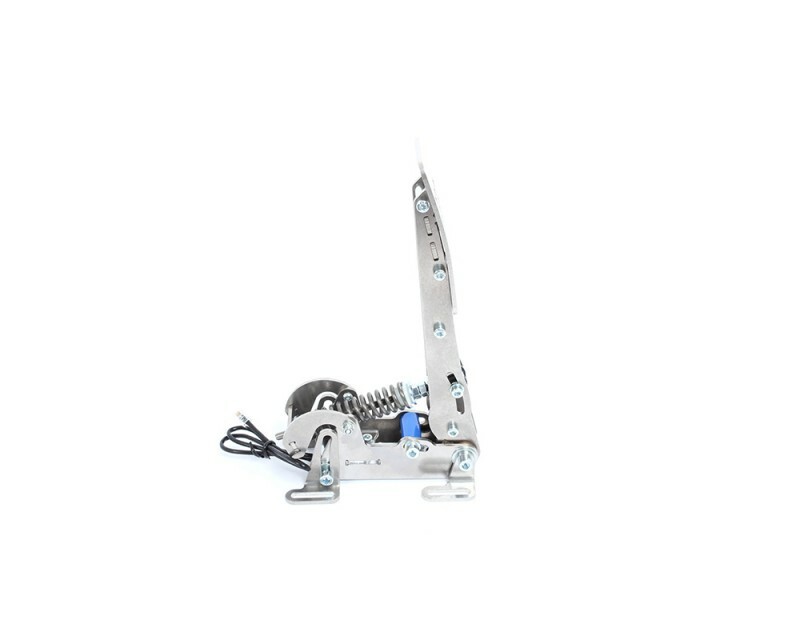 Clutch pedals often get lighter towards the end of their travel. 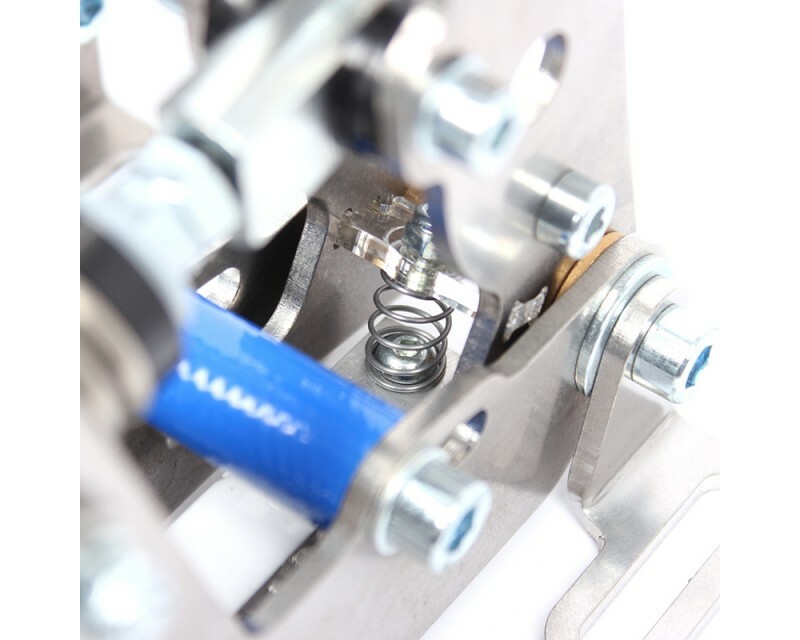 The Heusinkveld Sim Pedals Pro feature a regressive spring mechanism allowing you to greatly adjust the effort, travel and feel. 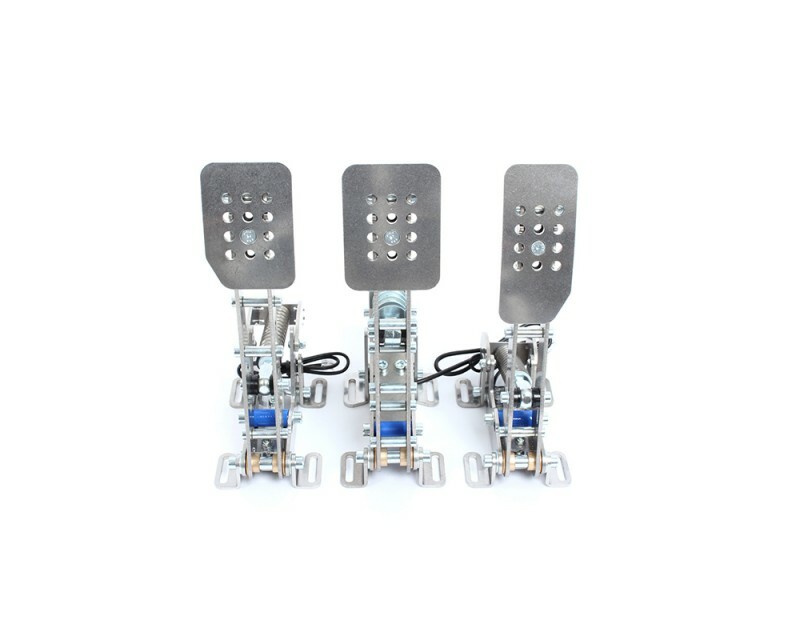 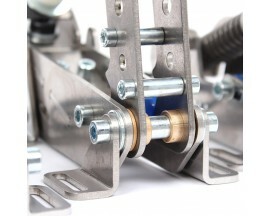 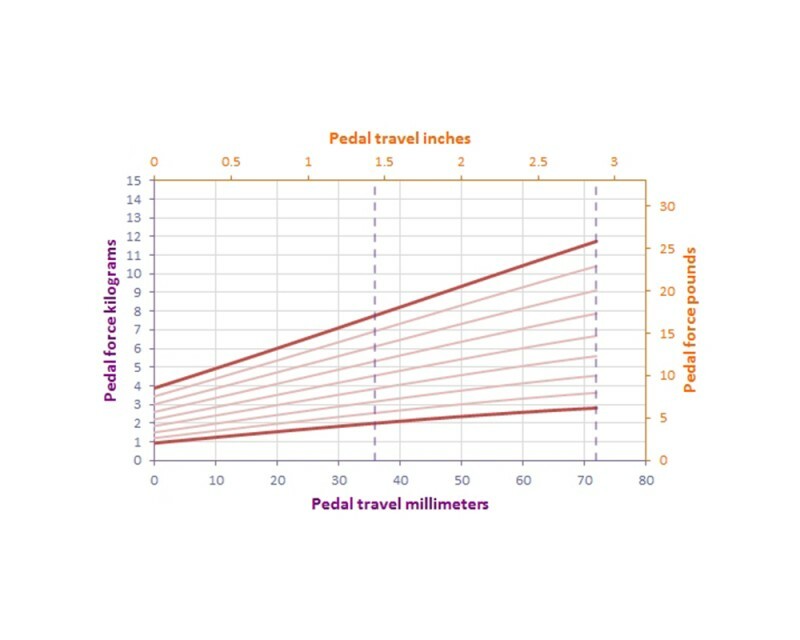 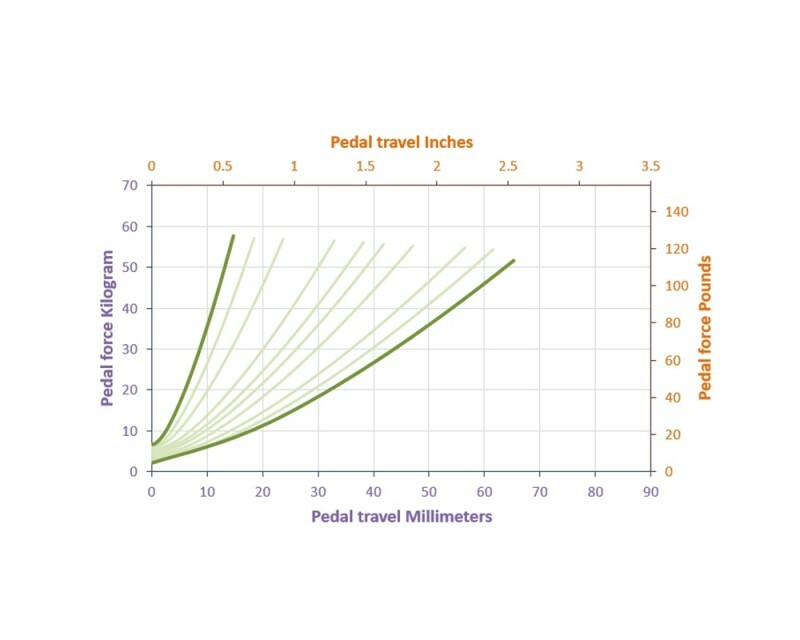 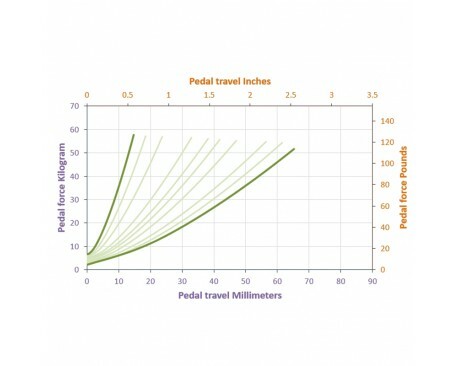 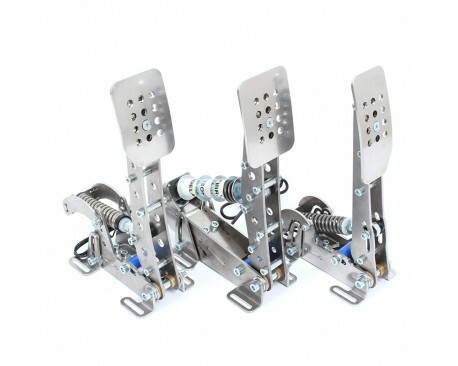 The maximum pedal effort of 14kg or 31lbs is again far greater than that of regular consumer grade pedals, but lighter settings are easily selected. There are effectively 15 different feel settings to choose from, 10 are drawn in the chart below.